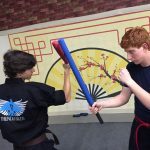 Marty Martin Karate Fight Skills builds your confidence, character and ability using the fundamentals of boxing, stick fighting, knife training, and jiu jitsu combined with the extensive practical use of the rules and principles listed below. Your goal is to integrate this training into your routines until your responses are spontaneous and you cannot get them wrong. The ever-continuing refinement of your fight skills will develop your awareness, arousal control and mental toughness honed and at the ready. The mental aspects are just as if not more important than the physical. 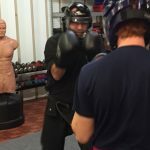 Continued fight skills training prepares your mind to control your emotions in combat – a perishable skill that needs consistent refinement. Fight Skills are adapted to the situation, as an example Coach Martin will teach you how to put on a headlock then defend the headlock standing. taking down your attacker with a headlock or being taken down and defending a headlock on the ground. It encompasses many possible ways the fight can go. 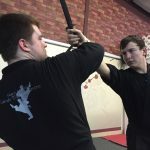 I am personally excited to bring your martial arts skills to another level as you develop your fight skills, which will compliment any training you may already have. Now that you have had a chance to read Marty martin Karate Explained and Coach Martin’s Fight Skills Package click the join now button which will take you to the membership levels page. If you still have questions please go to the frequently asked questions area and read the information there, then feel free to contact us via email.